Pinterest FAIL: Not so dried oven dried strawberries… – Everything Your Mama Made & More! I have been watching this pin get repinned and have been dying to try it, I happened to have some extra strawberries in the fridge so I decided to give it a wack. I am pretty comfortable in the kitchen & have dried other stuff in the oven (though it has been a while) so I thought it would be fun & easy as the directions were super simple. I will admit some of my berries are bigger then others, but even the small ones were still not dry after 6 HOURS in the oven. They smelled good, and my 4.5 yr old twins think they are tasty so I put them in the fridge for them, but I consider this a fail. The pinned picture looks like what you would get out of a dehydrator and even after just the 3 hours mine looked nothing like that (again, even the small ones) at 3 hours the skin it self had barely dried out. They were about the same thinness in the end, but I think it would have taken another 1-2 hours to dry them the rest of the way & by then the skin would have been WAY to dry. I could have put them skin side down but didn’t because it didn’t say & I’m not sure if that would have made much of a difference.I do have an electric oven not gas, so don’t know if that would make a difference but as far as following the directions to get a tasty eye candy treat FAIL. A good reminder that not as is as it seems on pinterest!!! I have never actually tried drying fruit in the oven (have done veggies & jerky). After a bit of googling (maybe I should have done that FIRST) it looks like most foods should be oven dried at a temp of 140* ish with the oven door cracked a smidge to let the moisture out which makes since it turns into steam & needs to get out of the oven! Also they need to dry for a much longer period of time (6-16hr depending on what you are using). Oven drying not worth the hassle! Now I want a dehydrator to make some yummy DRIED strawberries. I totally agree. Pinterest fail! Thank you for sharing so other people don’t have to waste time being dissapointed too. I have two comments: 1) That picture has been photoshopped at least a little bit, for color and the shadow under the strawberries, 2) salt tends to draw the moisture out of cucumbers and other vegetables, I wonder if it does the same for strawberries. Depending on how much salt that recipie used, could it have made a difference? Someone better versed in cooking may know. Ok, I do have a third comment 3) Maybe by 1/2 and 1/4 the recipie meant into 1/4 slices so they were super thin? I dunno. 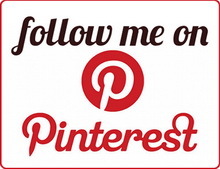 Hi I have sent and sent request to pinterest to get regestered and have never got a reply back would love to gone to your site. Is it too late to get an invitation to join pinterest? I have been trying to get one for some time now and can’t seem to have any luck with it. I just found your blog today and I love it. Your children are adorable! They sure grow up fast don’t they. Thank you so much for offering the invite. You are very kind. I too tried two different Pinterest things. One was coloring flowers and the other was a recipe. Both were miserable fails. Sorry yours didn’t turn out. At least your kids liked them though! Oh wow. I made a 9×13 pan full of huge strawberries & they turned out great. I got the recipe from Pinterest too. I poured off some liquid every 30 mins…but they were great. How big were the strawberries you used? Did you cut them in Half or quarters? How much salt did you use? What temperature was your oven and how long did you leave them in? I made these tonight and they tasted great but did not look red and plump like the ones in the pintrest photo. I would love to know what you did so I can try it again. Yeah mine were the ones that did NOT turn out, I don’t know anyone who has had them turn out like the photo! lol Thus why I labeled it a fail. I pinned this too. I just put mine in the oven and thought I’d look around online because it seems too easy… I guess I’ll be leaving them a lot longer. ugh! i wish I saw this first.. mine have been in the over for 3hrs and its a mess! The pan is covered in strawberry juice.. We had some that looked like the picture when we were on vacation a few weeks ago and I thought we could bring them camping this weekend.. I took one out and while it is tasty its not chewy and neat like the ones in the picture! I tried this too! Mine shriveled up and burnt before my timer hit the one hour mark. Oven was at 210 F, door was propped open. I’ll have to invest in a dehydrated too. It’ll be better for my kale chips as well. The picture seen on pinterest is from a website called nuts.com where they actually sell these lovely delicious dehydrated strawberries and many other yummy things. I found them looking for directions on doing this right. Looks like I also need to invest in a dehydrator. 🙂 Good luck! I totally agree. I tried it last night and it looks like yours. It does not look anything like the good picture on top. It was such a big disappointment ! Tried this twice, as the first time I didn’t want to add the salt. Cooked them an additional 3 hours. Dried up–miserable looking–but the kids did like them. This time I used salt and followed the recipe. Again–I consider this a fail. I don’t even know what to do with them. They certainly aren’t dried or even close to it. I’m going to stick them in the refrigerator and see what the kids think tomorrow. Agree, fail! Mine I put in for like 2 and a half hours, cut them into quarters since they were huge, did not add salt and mine are these little shriveled up strips of nasty! Wish it would have worked though. I haven’t made these yet but was just looking to buy dried strawberries like this for trail mix. These look identical to the strawberries on nuts.com where one of the ingredients is red dye 40. They will not look like this coming out of your oven. That doesn’t mean they won’t taste great though. I look forward to trying it so that I don’t have to buy the ones with added sugar. Wow! I am so glad I didn’t waste my beautiful strawberries! I was going to do this for an alternative treat for my family while we are on the road to becoming more healthy. I think a food dehydrator is in our future. Thanks for all the wonderful posts. Maybe your temperature was off. The recipe I saw on Pinterest said 120 degrees, but I googled it and got 200-210 degrees. On a bunch of sites. So I’m going to try mine at 200 or so and see what happens. The pins originally said 200 which is what I did, and when I researched it they suggest drying foods under 140 & for even longer. I gave up & just buy them and use the fresh strawberries for homemade strawberry honey jam instead!